Last week I tweeted out the following, unbeknownst to how it would become even more apt today. 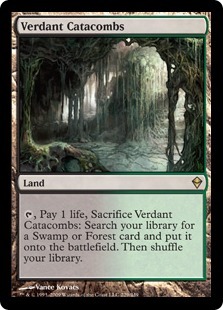 For those wondering what the big deal is, fetchlands are a huge part of every format they are legal in. When combined with the original dual lands - or shocklands - they push the statistical likelihood that you'll get color screwed, or left without the right mana, extremely low. 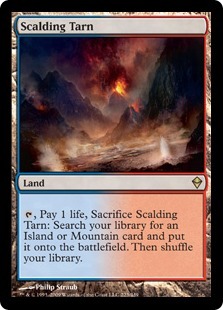 For instance, a Scalding Tarn lets you go fetch up either an Sacred Foundry, Underground Sea or Breeding Pool, getting you access to all the colors even when it's not printed on that Scalding Tarn. There are a bunch of additional benefits, like shuffling your deck to get some fresh cards on top if you're playing cards like Brainstorm or Sensei's Divining Top and there's also a very small amount of deck thinning happening. Since every land displaces another land from your deck you're eventually more statistically likely to draw a spell when it would have been a land, even if it's only 1 in every 100 games or so though. Lately, the speculation on fetchlands reprints has hit a fever pitch among the Magic community, and is perhaps a touch similar to a certain shooter franchise. These days it seems everyone has some theory about when the reprints will happen and "evidence" to support it. 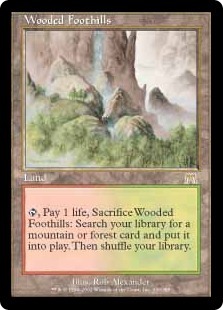 Granted, it has been cryptically confirmed by WotC that fetchlands would be reprinted "at some point." It's a discussion that has been steadily rising over the past few years as some of the Zendikar fetches made the jump from $15 to $30 to $50 before skyrocketing to $100 earlier this year. 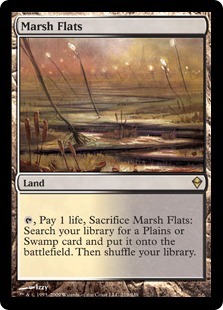 With the Modern PTQ season just around the corner combined with the ever rising popularity of older formats, the demand for fetchlands is hitting all-time highs. Adding fuel to the fire, a recent article discussing card design from Journey into Nyx has offered up another piece of evidence to fawn over. 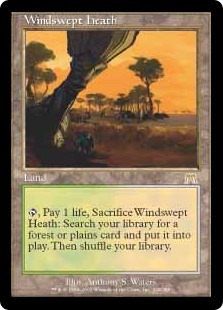 While discussing the card Mana Confluence the following line was dropped: "KD 8/20: Per Dave and Erik: Now pay life rather than deal damage, to match the land cycles we are most likely to reprint." 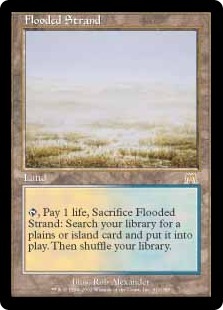 For those that don't remember every land off the top of their head, a casual search on Gatherer will turn up a pretty limited selection of lands that require specifically paying life instead of damage, like Brushland. 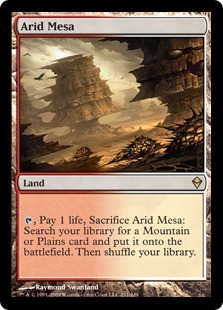 Actually, sans the shocklands, Zendikar, and Onslaught fetchlands there's really only a hand full of one-off lands with that in their text. 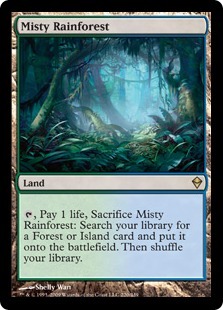 Seeing as we just saw the shocklands in Return to Ravnica block that does appear to be a pretty strong hint that fetchlands are coming. The big question remaining is still when, and what, it means for the game. While WotC could very well reprint fetches in any number of supplemental products, like the next Commander set, this won't introduce that many new fetches into the wilds. This might help to stabilize the market somewhat, but is a speed bump at best and if Modern continues to rise in popularity and WotC wants to support it, that means getting a lot more of them out there. 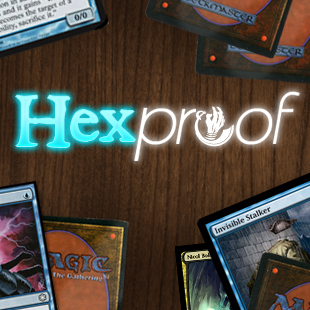 The sets we currently know about are Conspiracy, M15 and Khans of Tarkir. Conspiracy is already in the middle of being spoiled, it's possible but I'd wager against it. Conspiracy would have been in design and development for longer than when the massive price hikes started to really present themselves. 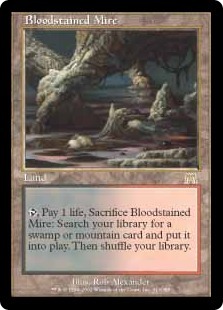 There are however a bunch of juicy reprints in Conspiracy, so I wouldn't completely rule it out. M15 is the next candidate in line. It would mean fetches would be in Standard for the least amount of time, and even give everyone a brief taste of Modern mana bases while M15 and Return to Ravniva block are legal for a few months. WotC has however made it known that they don't like to make core sets to complicated, in addition to general concern about when there is too much shuffling which slows down play. And if they stick to previous statements about never only printing half of the color combinations again that would mean all 10 would need to be in M15. This alone is important because if the fetchlands are reprinted in a standard set it would mean that players would get access to the Onslaught fetches in Modern, which currently only has access to the enemy color pairings from Zendikar. 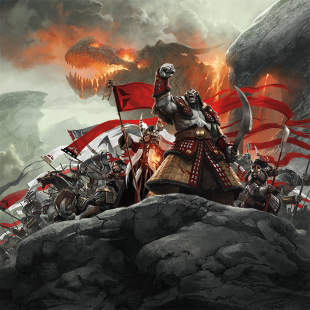 The last announced set is Khans of Tarkir. While it was dug up from some copyright filings months ago it was finally officially unveiled at Pro-Tour Journey into Nyx. Khans of Tarkir could be a likely contender, but we know very little about the set so far. The strongest point in its favor is another cryptic message from WotC during its announcement about "bringing back something we've been asked to do for a while". There's also been some internet sleuthing, speculating and examining of the images released of the set that suggest that it might be a shard, three color pairing, based world, which would require some strong mana fixing. So what you all think? Are fetchlands just around the corner? Will we see them in Standard? Personally, I'm taking a very "it will happen when it happens" approach. Besides they've got a few years before it actually hits Valve levels.